Odisha Staff Selection Commission (OSSC) has officially declared the OSSC Block Social Security Officer vacancy notification for the posts of Block Social Security Officer on Nov 2018. OSSC Block Social Security Officer Recruitment 2018 notification gives you the complete details at odishassc.in Recruitment official page .The vacancies are 151. The Odisha Block Social Security Officer online application can be filled in ossc.gov.in from Nov 2018. 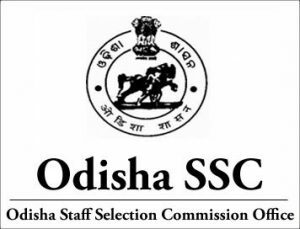 Odisha Staff Selection Commission recently updated an important notification regarding the OSSC Recruitment of Block Social Security Officer posts. Here in this post, you can get the brief description of that OSSC Block Social Security Officer vacancies. Once you see this posts in a complete manner, you may decide to apply for these vacancies in case if you have the satisfied eligibility criteria as per the official notification. This is the staff selection recruitment, so the selection of the candidates completely depends on the applicant’s knowledge only. So to test it, it conducting prelims, Mains and Interview. OSSC Block Social Security Officer Online Application is available for the contenders. Odisha Staff Selection Commission (OSSC) is the Orissa State government job recruitments organizing committee. Any level of state job in Orissa has to be recruited by this OSSC only.The post department will not be involved in this selection process. The PDF notification of this OSSC Block Social Security Officer Recruitment is released on Nov 2018 but in fact, the link of online application will get activated on Nov 2018 to till Dec 2018. It is giving a hint to you that to be prepared with all the documents to attach with the online application form. Need more updates on Orissa state government jobs, visit Recruitmentindia.in. The complete qualifications for OSSC Block Social Security Officer Recruitment 2018 notification as per the job wise. The candidates who want to apply for these vacancies should have Bachelors Degree in any discipline from recognized University and proficiency in the use of the computer, internet, e- mail, word processing, data analysis, and presentation. They are able to speak, read & write Odia and have passed Middle School Examination with Odia as a language subject or, have passed the High School Certificate Examination or equivalent examination with Odia as a subject/medium of examination in non-language subject or, have passed a test in Odia in M.E School standard (Class-VIl) conducted by Education Department or, have passed in Odia as language subject in the final examination of Class Vll from a school or educational institution recognised by the Government of Odisha or the Central Government. They should have proficiency in computer skills. Candidates, age must be as per the OSSC Block Social Security Officer Recruitment 2018 have minimum age 21 years and maximum age is 32 years. Selected candidates will get the pay scale as per the norms of the OSSC Block Social Security Officer Recruitment 2018 as Rs.9300 to Rs.34,800 and G.P. of Rs.4200. Actually, in the official notification, there will be OSSC Block Social Security Officer Vacancies released has done on Nov 2018 . On that day we have checked that notification and explained the information given in it in a particularly useful format to intimate the job searching candidates about this Odisha Block Social Security Officer recruitment 2018. Your role of application submission is completed, the role of OSSC will start to release the OSSC Block Social Security Officer Prelims admit card . After complete execution of three rounds for this OSSC Block Social Security Officer Notification 2018, they are prelims, mains and interview, the final selected candidates list will be revealed by the Odisha Block Social Security Officer recruitment Board authority of OSSC. To reach the mains first you have to qualify in prelims. Again Mains qualifying candidates will forward interview, Finally, candidates who performed well in both mains and interview will get the Offer letter of the applied post.